STERIS Corporation (NYSE:STE) is a provider of infection prevention and other procedural products and services focused on healthcare, pharmaceutical and research. 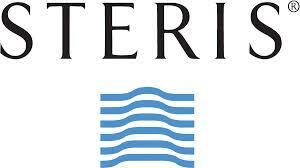 Steris is one of the stocks in my portfolio added at the end of 2008 for a gain to date of 182%. Their next annual meeting is August 27, 2015. ProxyDemocracy.org had collected the votes of one fund when I checked and voted. I voted with the Board’s recommendations 86% of the time. View Proxy Statement. Update: My proposal to end supermajority requirements won 81% of the vote. Read Warnings below. What follows are my recommendations on how to vote the STERIS proxy in order to enhance corporate governance and long-term value. From Yahoo! Finance: Steris Corp.’s ISS Governance QuickScore as of Aug 1, 2015 is 1. The pillar scores are Audit: 1; Board: 1; Shareholder Rights: 2; Compensation: 2. Brought to you by Institutional Shareholder Services (ISS). Scores range from “1” (low governance risk) to “10” (higher governance risk). Each of the pillar scores for Audit, Board, Shareholder Rights and Compensation, are based on specific company disclosures. That gives us a quick idea of where to focus: Shareholder rights and compensation… but both should be fairly good. Steris Corp.’s Summary Compensation Table shows the highest paid named executive officer (NEO) was CEO Walter M. Rosebrough, Jr. at about $4.5M. I’m using Yahoo! Finance to determine market cap ($3.85B) and Wikipedia’s rule of thumb regarding classification. Steris is a mid-cap company. According to Equilar (page 6), the median CEO compensation at mid-cap corporations was $4.9 million in 2013, so Steris’ pay is below that. Steris shares outperformed the S&P over the most recent one, two, five, and ten year periods. The CEO’s total summary pay for the last reported period was more than three times the median pay for the company’s other named executive officers. Such disparity in pay raises concerns regarding the company’s succession planning process and the distribution of responsibilities among the executive management team. Because of the concerns expressed by GMIAnalyst, I could have reasonably voted against the pay package as Calvert did. However, given Steris’ performance I am giving them the benefit of the double. Like both Calvert and CBIS, I voted not to ratify the Steris auditor because their tax work with the company can be seen as a potential conflict of interest. I voted for the pay and bonus plans, as well as for all directors. Of course, like Calvert and CBIS, I voted in favor of my own proposal to reduce majority vote requirements. The current standard is quite high. A supermajority vote of 75% is required to amend certain charter and bylaw provisions unless approved by 66.67% of the board. Therefore, we need 75% of the vote to win this simple change. Insiders only hold about 1.3% of shares, so there is a real chance for success. A minority of the company’s shareholders shouldn’t be able to hold back the will of the majority. Directors may be removed with or without cause but only by the vote of 75% of the shares entitled to vote. Written consent requires unanimous agreement. Special meetings can only be called by shareholders holding not less than 50% of the voting power. Supermajority vote requirement (75%) to amend certain charter and bylaw provisions unless approved by 66.67% of the board. The deadline for shareholders to submit proposals to be considered for inclusion in the proxy statement for the 2016 Annual Meeting of Shareholders is expected to be March 15, 2016. However, if the date of the 2016 Annual Meeting is changed by more than 30 calendar days from the date on which this year’s meeting is held, a proposal must be received by the Company a reasonable time before the proxy solicitation in connection with the meeting is made.